I average about 50oz/min. Which is double what the manual says for the minumum so I hope thats right, I did it 3 times with the same results. I made a makeshift stand to do the rest of the DAI tests. Will check back in after. Speedo could be off but everything seemed to check out at about 15 mph not 18 mph. are there 2 different jets? one for lower idles and one for WOTs? and maybe the second one is gummed up? Ive never worked on a fuel pumped carbed engine before so im not sure what the difference in these carbs are. Now I have a new project... Ill make a new post if you think its needed. While digging around in all this mess I noticed my battery has been seeming lower and lower so I did a drain test and found I kid you not a 5 amp drain in my instrument cluster. 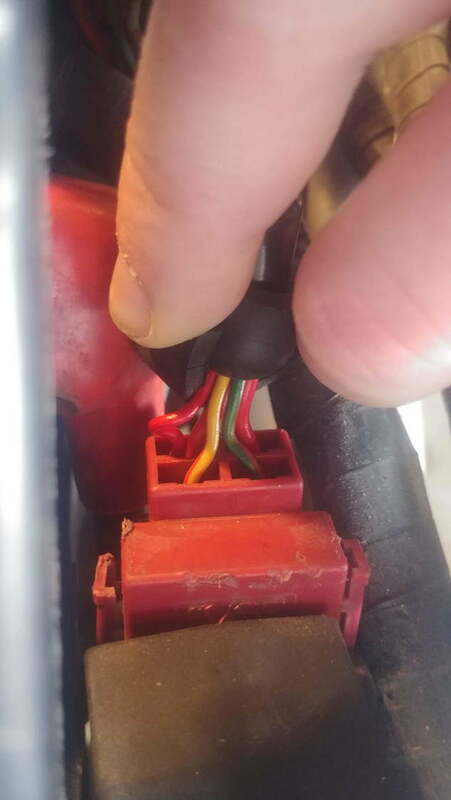 The 5 amp draw is coming from the red wire in the starter solenoid which leads to the instrument cluster and the key switch, I disconnected the key switch and the draw remained, so that left the cluster and an unknown wire. (pictured below) I tried finding a new cluster on ebay and found nothing... I already took it apart and found no visible shorts. Have you ever heard of the cluster drawing this much? Im wondering if this is what caused my stator to die last year and is what has been giving my bike problems. thats what like 60 watts? 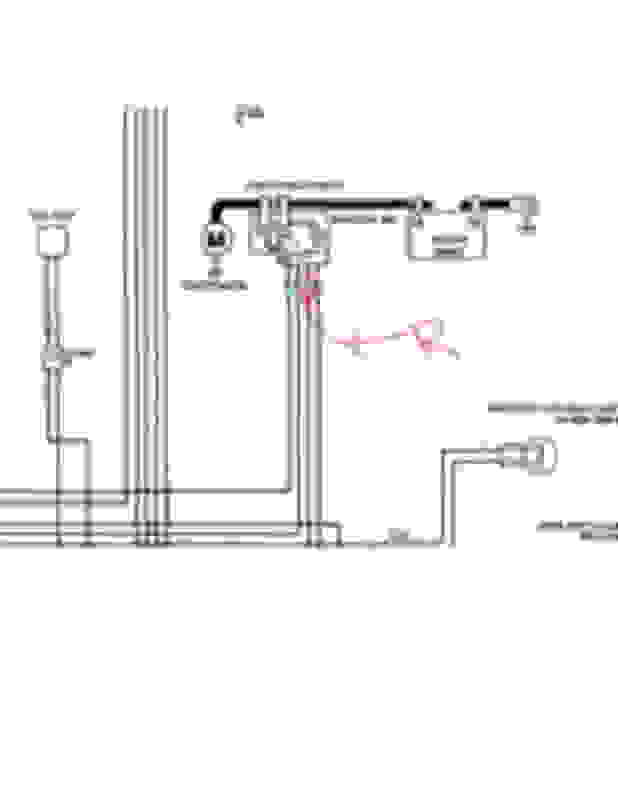 pictured below is the wiring diagram from the manual where is shows 4 wires in the starter solenoid but my bike has a 5th, small gauge maybe 16? I dont feel like tearing apart the harness to find out where it goes, do you know? its tied into the same line that I have my drain in, even though im certain the drain is coming from the cluster. its the tiny red wire right next to the thicker red wire. 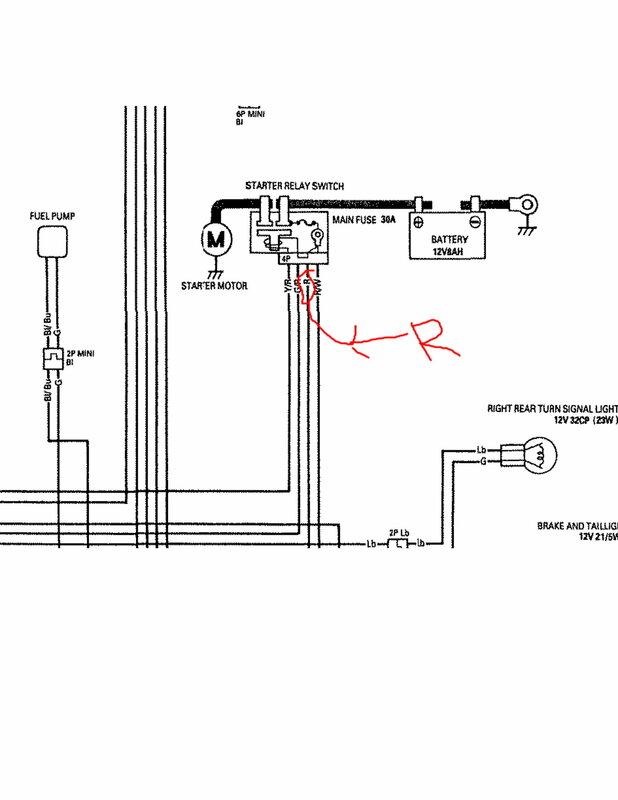 No I meant do you know where that little red wire is going since its not on the wiring diagram it looks factory so I was hoping maybe another F4 owner would know. My draw is coming from my instrument cluster, just didn't know if 5 amp was from a short or a bad circuit on the board. Yeah, I have confirmed its the cluster for sure. So I had to order another one off ebay. What do you mean by "clocks" ?